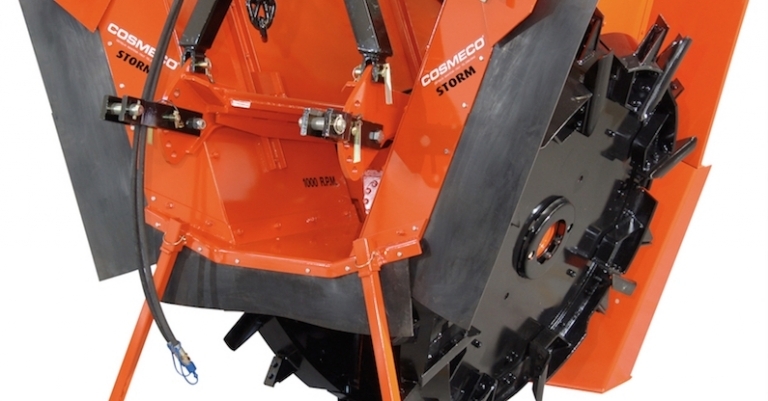 Double Wheel Ditcher BIG STORM | Products | COSMECO S.r.l. 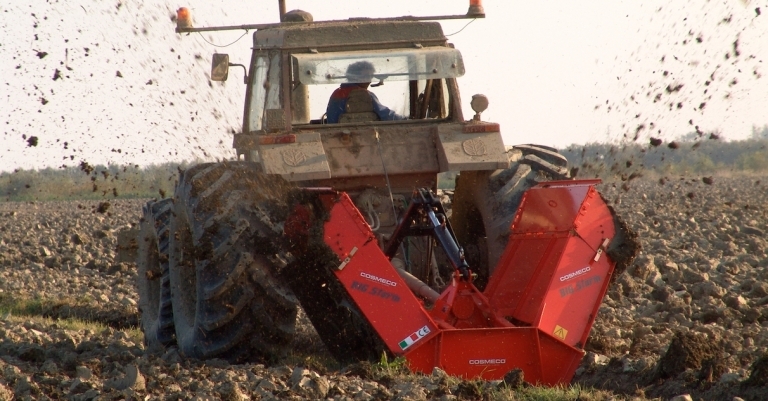 Cosmeco wide range of rotary double-wheel ditchers have been designed and developed for many different water management purposes, such as excavation, maintenance or cleaning of collector ditches and furrows. 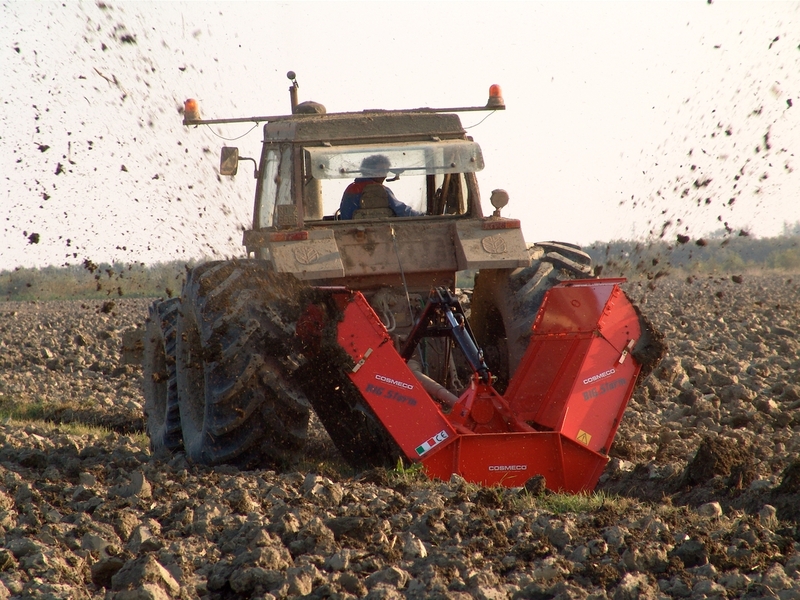 Thanks to their rotors equipped with knives and plates, the soil is crumbled up and then removed. 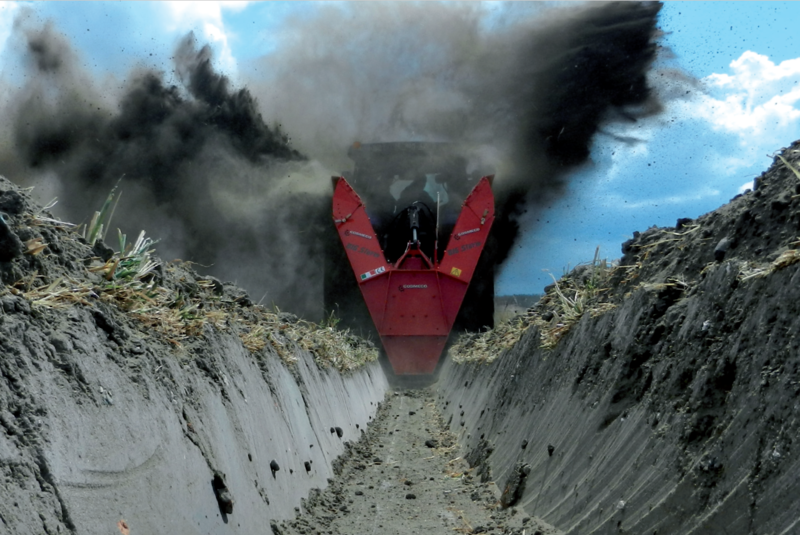 The earth can be thrown several meters away, or be positioned beside the dyke edge by account of the special adjustable hoods available on demand. 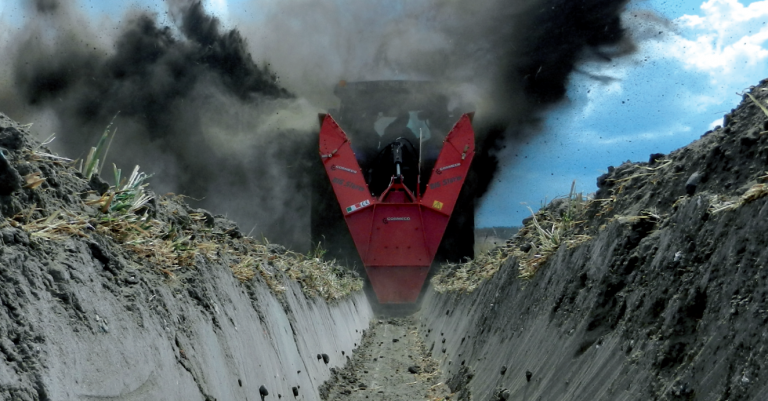 The newly created ditch proves to be defined and chiselled, and makes the water flow away from unwanted areas or distribute itself along irrigation networks. 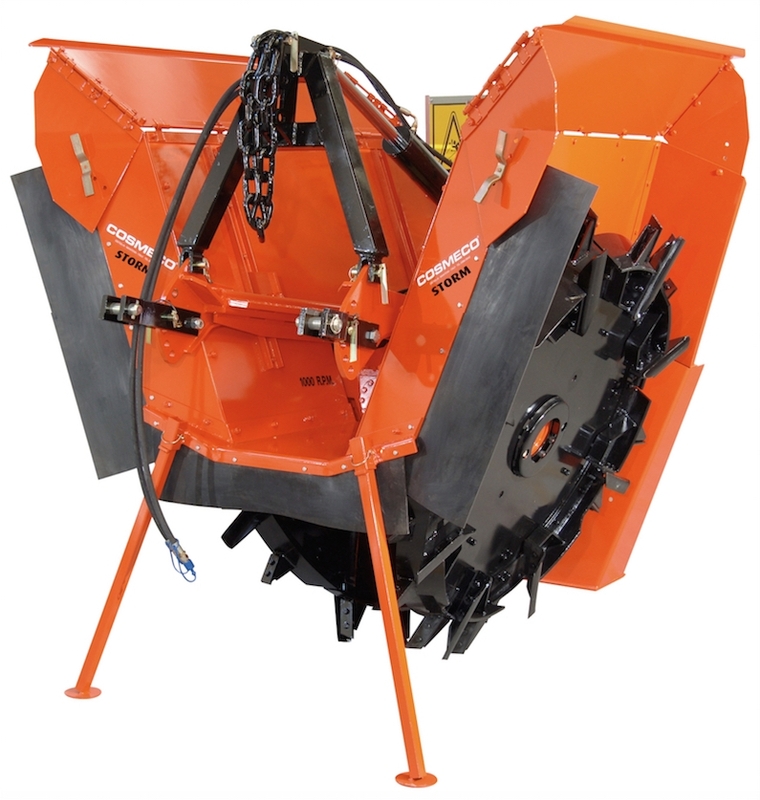 Our “BIG STORM” double-wheel ditcher was born as an internal and entirely unique Cosmeco project, and holds so far the world record for its dimensions and power. 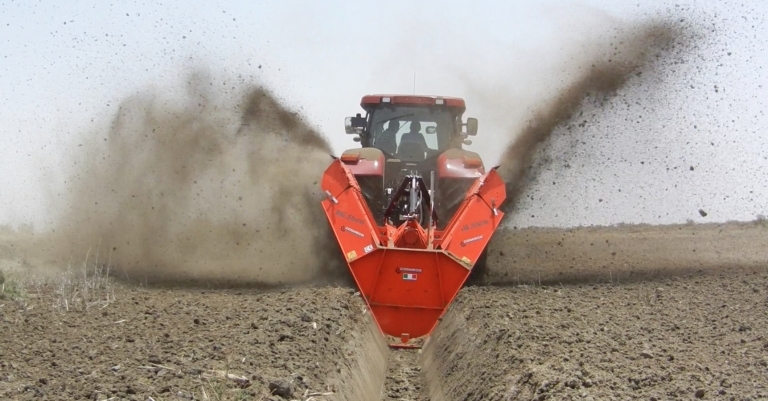 It is a perfect example of quality at the highest level and excellent construction accuracy, the whole structure is visibly bigger compared to a standard ditcher: by weighing 2.000 Kg, it’s the most colossal and vigorous machine of its kind. 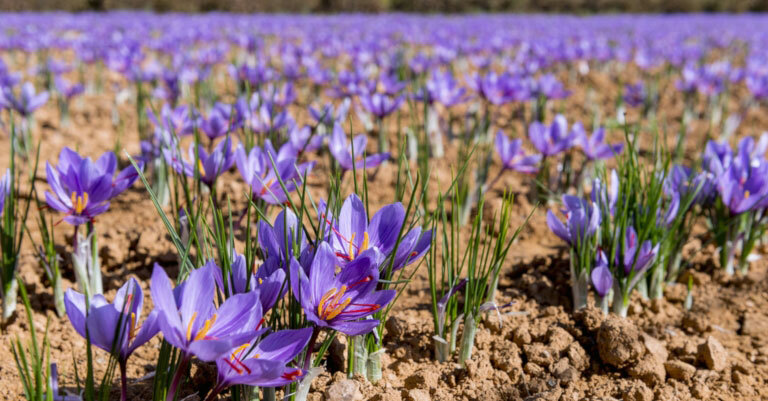 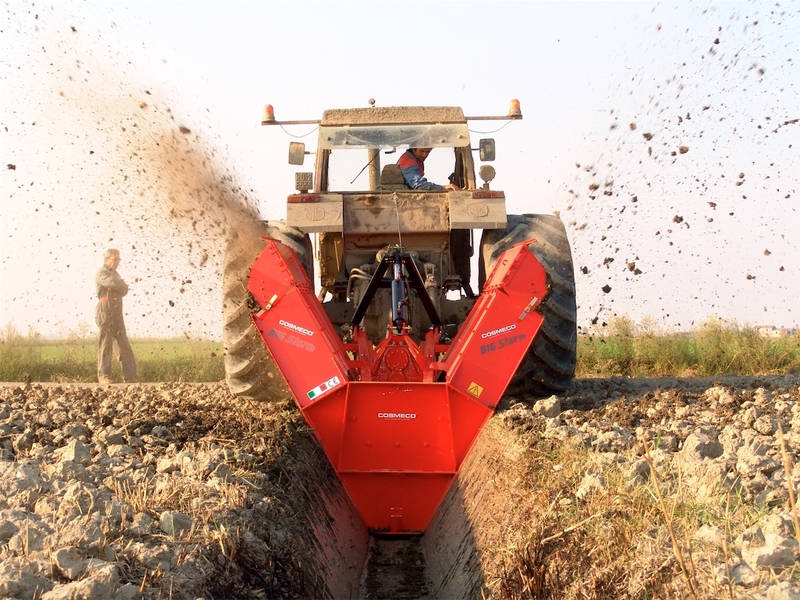 The strong and big rotors equipped with knives and blades work perfectly when opening and creating large-sized ditches, even reaching a depth of 145 cm. 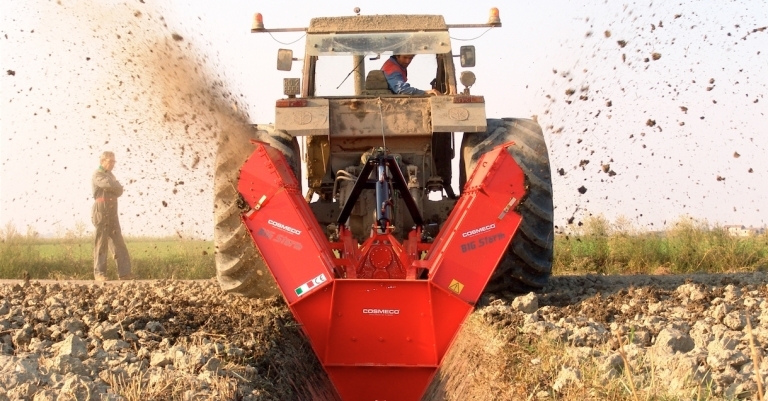 The double-wheel ditcher “BIG STORM” is suitable for a continuous and demanding applications, typical of the subcontracting market or if the job has to be done on vast fields, as it offers a top-quality performance even in difficult soils with rocks and stones, whilst also diminishing costs and time when compared to all other excavation systems. Check out this video of our double wheel ditcher BIG STORM at work!